Welcome to WDW Magazine. We are glad you are here. We just celebrated our first anniversary and we want to invite you to a little celebration we’ve put together. Each month we bring together the Best of Walt Disney World. We want to give you a peek at what we do so we’ve put together a little sample from Year 1 of WDW Magazine. We start out each month with feature stories. We choose a topic and the first few stories cover all there is to know about that topic. Our Helping Hands section is to give a lift to those who need some help. First there is our First Timers Corner which gives tips, hints and needed information to first time guests of WDW. Following that we talk about helping those with special needs. Next comes the Best of WDW where we talk about a Resort, a Restaurant, an Attraction and a Gift Shop at WDW. These are chosen by our fans over on our Facebook page. Bring the Magic Home is one of our favorites. It give you step-by-step instructions on how to create WDW Magic right in your own house. Each month we do a craft, recipe or decoration that really Brings the Magic Home. The FanZone is where we hear from you and we have a little fun. We start out with What I Love Most about WDW. It’s stories from you. We also will ask a question each month on our Facebook page about the topic of the month and we feature your answers right here. This is where we announce the results of our monthly photo contest. Finally, we have our Fun and Free column where we talk about one of the Free things at WDW that just make things fun. Wait, we’re not done yet. The Around the World section is the icing on the cake. We start out each month with “The Little Things”. A look at some of the “Little Things” that make WDW so special. Next we have some really great Disney Trivia in our Did Your Know column. 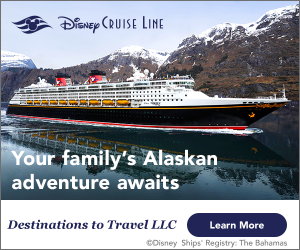 There’s also some Disney History and The News of the month. Our last section is called Day Trip Corner. It’s where we explore some of the other attractions and things to do around WDW. I know. That’s a lot. Yes, we do that every month. Take a look. 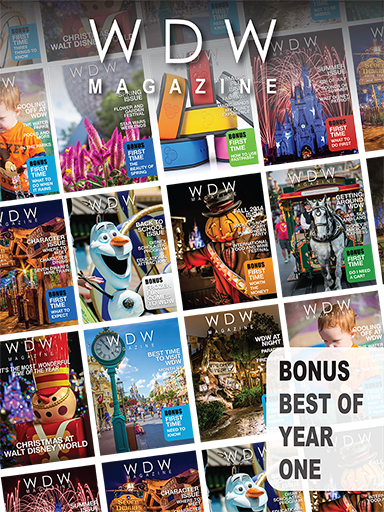 This issue will show you some of the Best of WDW Magazine over our first year. We hope you enjoy.